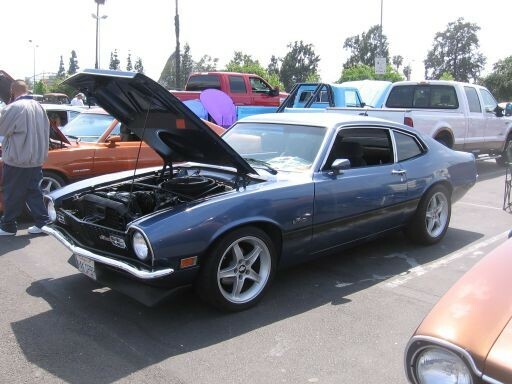 The Ford Maverick was built from 1970 to 1977 and the Mercury version, the Comet, was built from 1971 to 1977. The Maverick is Ford’s most successful car, selling more units in its first year than the original Mustang did. Engines available were the 170, 200, 250 cu. in. sixes and the ever-popular 302 V8. A 3-speed column mounted shifter was standard and automatic transmission was optional. Mavericks and Comets came in 2 and 4 door models with sporty models called the Maverick Grabber, Sprint, Stallion, and Comet GT.